Tarot Card Reading Chicago: Can Real Psychics Remove Curses? Psychics have always been a polarizing subject for people. As a result, many harmful myths have cropped up around them. These unfortunate assumptions about psychics prevent people from getting the help they need. 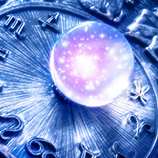 At the Astrology Boutique, we have answered our share of questions about psychics, and we are passionate about clearing up all the misconceptions! In our last blog, we dispelled the assumption that psychics can literally read minds. Today, we want to look at curses. Can a Psychic Curse Me? 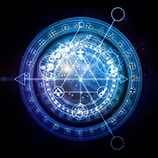 Many people believe that psychics can put curses on people or remove curses. This myth is perpetuated by frauds who like to pose as beings with supernatural powers. They can be brutal, demanding huge amounts of money from worried customers in order to have curses removed. It’s all a trick. Curses are wishes for bad things to happen. Wishes have no power over people who don’t believe in them, which means you can’t be cursed against your will. There are rare cases in which people get under a negative or demonic influences, and our psychic will be able to help fix that issue. Just don’t fall prey to the scam saying you have to pay tons of money or die. It’s always false. 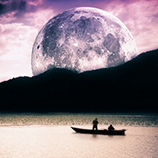 At the Astrology Boutique, our experienced psychic is ready to give you the insightful help you need for honest prices. Don’t let myths about psychics prevent you from taking advantage of your closest ally. There is no reason for to miss out on the help you need. Contact us for everything from psychic reading to tarot card reading!